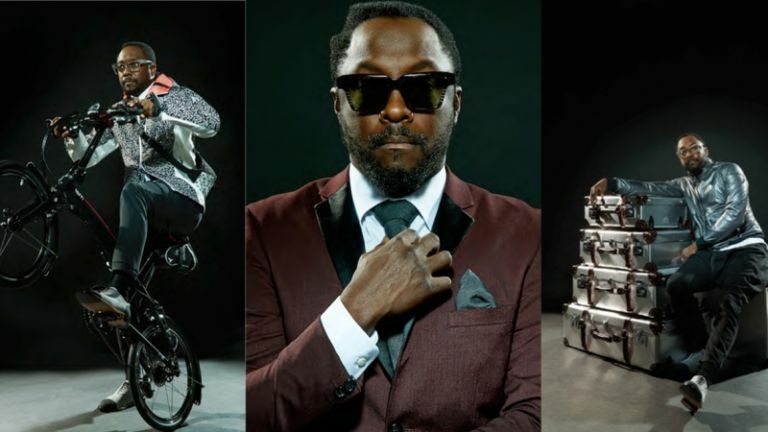 The Voice star, Black Eyed Pea and serial tech dabbler Will.I.Am today launched the exclusive EKOCYCLE shop in shop at Harrods, in association with Coca Cola. We met him and what he had to say will blow your mind. A bit. The Ekocycle range includes luggage from Globe Trotter, mobile device cases, a fold-up bike from Tern, clothing from brands including Adidas and a 3D printer from 3D Systems, who happen to have Will.I.Am as their creative director. The linking factor in all this? They all use recycled plastic and aluminium from soft drink containers (Coke are a co-sponsor of the brand). The stuff's all pretty cool, and yes, we can all be cynical about a globe-trotting superstar and a soft drinks giant pushing eco-friendly living through attractive and expensive consumer goods, but let's try to move past that, shall we? For us the most interesting gear was the 3D printer, which uses recycled PET in its cartridges. The ones at the Harrod's store - which is there "indefinitely… We'll see how it goes," to quote the guy who showed us around, as opposed to being a pop-up - were all printing out Will's head. Because of course they were. The clothing was also all very cool, and certainly didn't have the dowdiness you'd generally associate with recycled, man-made fabrics. Apple Watch is not a rival product to his Puls smartwatch because Puls is a pair of rollerskates, Apple Watch is basketball shoes. You can make electricity with dung. He's seen thinking machines that we should all be concerned about.